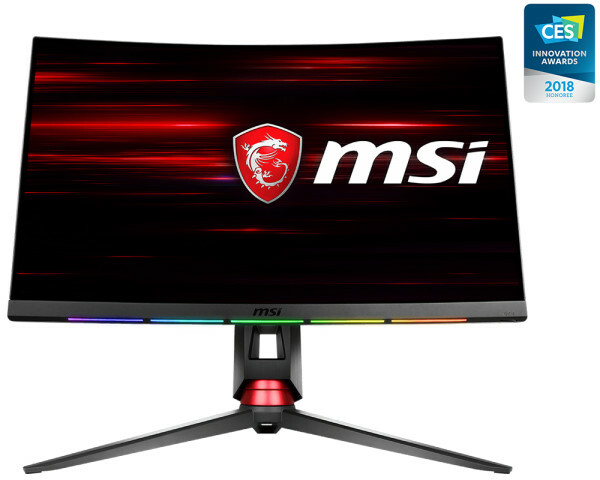 MSI has added another monitor to its OPTIX lineup, in the form of the OPTIX MPG27CQ monitor. This one sports a VA-type 27" panel, which delivers its images in a crisp, WQHD (2560 x 1440) resolution. The usage of a VA panel means this monitor is able to deliver up to 144 Hz refresh rates with a 1 ms response time and 178/178 viewing angles, while sRGB and NTSC coverage stand at 115% and 100%, respectively. Another thing to note is the monitor's rated brightness: at 400 cd/m², it isn't the best we've seen, but at least it holds its maximum brightness honorably, without adding any HDR-capable gimmicks, even though it's much more capable of that than some other monitors that have been recently announced. One of the more interesting thinks about this monitor, however, is the inclusion of SteelSeries' Game Sense technology, which should allow the bottom bezel led strips to react to your gaming conditions, such as ammo count, health, and other factors. Additionally for gamers, there's support for Adaptive Sync tech to smooth out the frame-rate and avoid tearing. The OPTIX MPG27CQ features the usual slate of Flicker Free, Blue Light Filter technologies, which could affect the monitor's touted 3000:1 contrast ratio. Connectivity-wise, the monitor supports 2x HDMI 2.0, 1x DisplayPort 1.2, 2x USB 3.1 Gen 1 Type-A (left side) and 1x USB 3.1 Gen 1 Type-B (rear side for PC to Monitor). The monitor itself has some interesting aesthetics, even if the RGB stripes on the bottom of the monitor's bezel are likely to prove more distracting than anything. 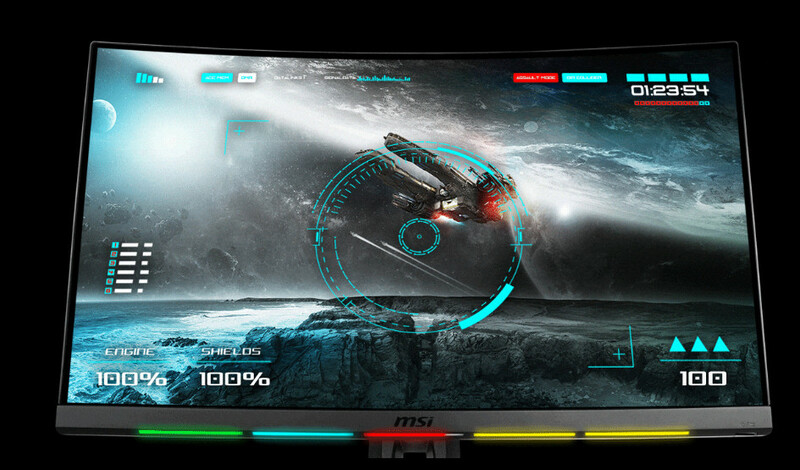 Other bezels are seemingly invisible, and the monitor's curved panel should add a flair to its design, not to mention the perceived advantages of such a panel. No pricing has been announced as of time of writing. Other than that led lightbar(from previews it does look useful if it can be integrated with more games) that monitors has ID of Asus ROG monitor.